Pinterest, the online mood-board creator, is the place where women fantasize about their ideal wedding, where dream homes are imagined and where teens collect motivational quotes. But how do you go about curating a really great Pinterest board? One that can capture a trend, develop an idea or just become a beautiful thing to behold. Here’s our a step-by-step guide. First things first, if you don’t have a profile already, you need to sign up. It’s very quick and easy. Follow the process through entering your name and gender, before selecting your interests. There will also be an option to add a ‘Pin it’ button to your web browser tool bar. 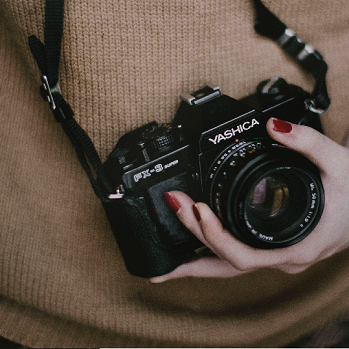 This is a really handy tool which will allow you to quickly and easily ‘pin’ images to any of your boards without taking you away from the web page you’re browsing. A must for any serious ‘pinner’! Choose your subject. This can be anything from ‘Books I’ve Read’ to ‘ My Ideal Home’ to ‘Fitness Inspiration’. For the purpose of this guide we’re going to create a ‘SS15 Women’s Wear Catwalk Colors’ board. 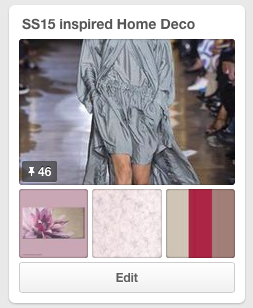 The beauty of a Pinterest board is that it is a work in progress, one that can be added to indefinitely. However, if the board is for a specific project, it is best for it to remain streamlined and well curated. For this guide we are creating our board in order to redecorate a living space. 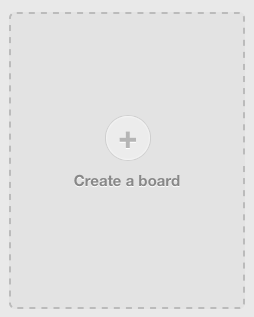 You can also invite others to add to your board and make it a collaborative project. With the handy ‘Pin It’ button now installed in your browser, you can easily ‘pin’ almost any image from web pages you visit. Firstly, we know the colour scheme we want the living room to be is “SS15 Colours”. The catwalk shows have been documented by fashion magazines so they are my first port of call. Many website have a ‘Pin It’ button on all their images, making it even easier. When you ‘pin’ an image you can add a subtitle describing the image, where it is from, what you like about it etc. This will allow you to understand why you pinned it later, where you found the image and it can also act as a way of vetting images. If you don’t know why you are pinning it, don’t bother. Once we have our inspiration we can start looking for decor; wallpapers, wall art, furniture, fabrics. Once again, the ability to write about the pin before you place it on your board can be incredibly useful. Adding a link to the site and including the name of the item means you can always find it again when the time comes to use your board in practice. It also means other people who see your board can locate the images you posted. Images don’t have to come from the internet either. 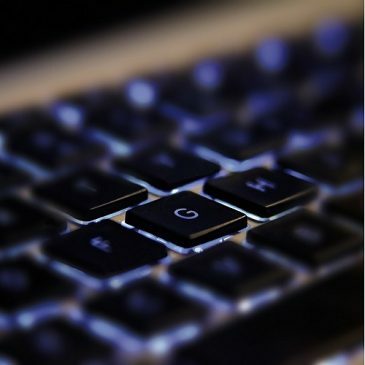 You can easily ‘pin’ images you have taken by uploading them from a camera or phone, on to your computer and using the ‘Add a Pin’ button on the board. 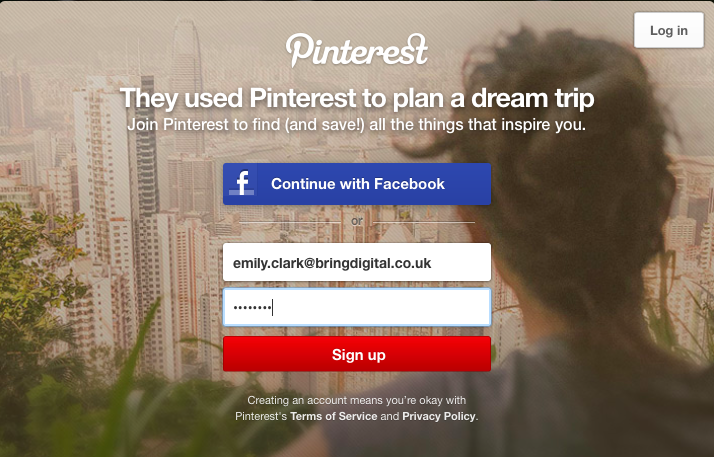 Alternatively, you can download the Pinterest App for your smartphone and ‘pin’ directly without the need for a laptop or computer. Follow other pinners you find inspirational and search the Pinterest archives using keywords. The search facility has just been updated so you can now be even more specific and find exactly what you are looking for. You can re-pin other people’s images on to your boards and engage with a community that enjoy beautiful things just as much as you. Gain inspiration from their ideas and look how they have curated their boards to help you improve your own. The key to a well curated Pinterest board is to be picky. Stick to the board description you wrote when you first setup the board. Before you ‘pin’ an image, ask yourself if it is reflective of the description. If you still love the image, there is no reason why you can’t create another board of all your favourite images too. The possibilities offered by Pinterest are endless and, when used correctly, it can be the ideal resource for a whole host of creative projects.